The KI810 design is compact, yet very productive. With its 850 lbs. 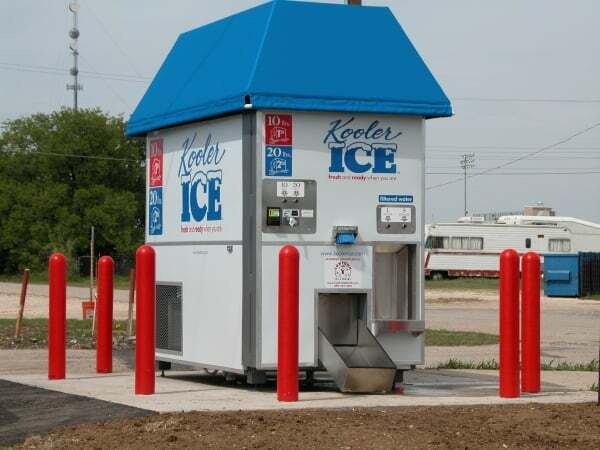 of bin storage capacity, you will have 70+ bags of ice ready to vend each morning. 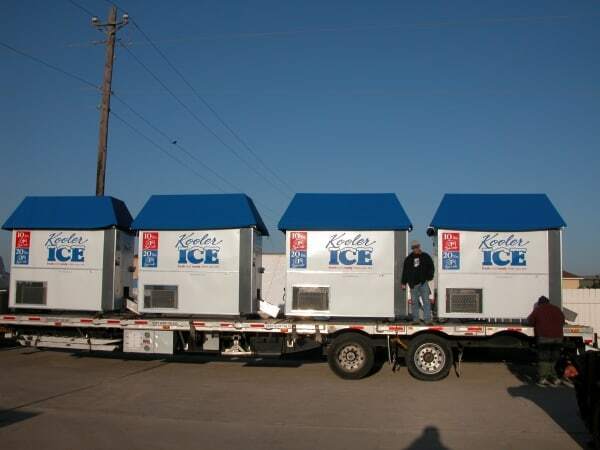 The unit comes standard with (1) C1848 Ice Maker and is capable of producing an additional 84 bags of ice every 24 hours. 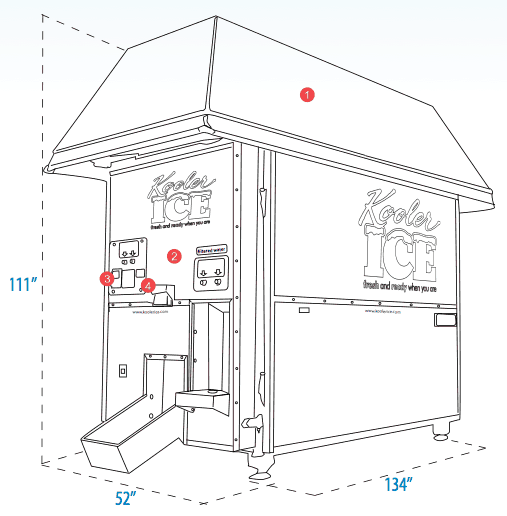 The KI810 can be equipped with (2) C1848 icemakers to increase daily production to upwards of 200+ bags every day. The new KI 810 is the larger version of the KI 510. With a larger bin capacity this model is designed to handle more traffic. 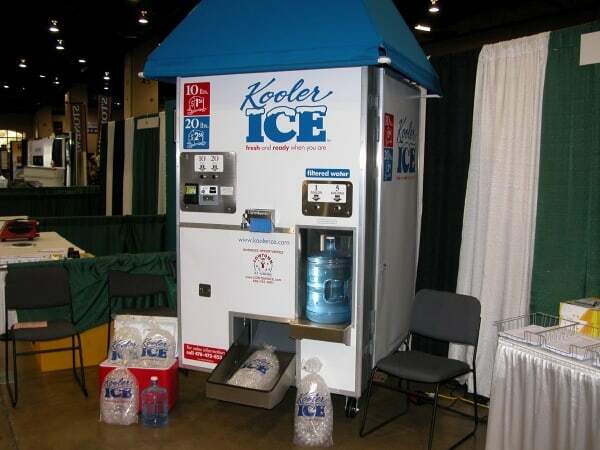 As with the KI510 this machine vends both water and ice. 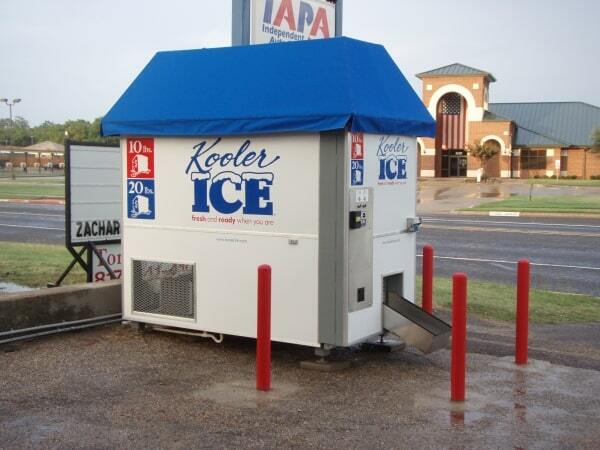 Ice Maker Scotsman is a world wide leader in ice machines and offers a large network of dealers and service centers throughout the U.S. We use "The Prodigy" line of ice makers due to their unmatched features, serviceability and support. Siemens Control Panel Siemens has developed the electronics and PLC components for our machine. With this technology, the machine displays alerts and important machine functions on an LCD panel inside the machine. The LCD panel also has resettable counters to track sales. IceTalk 4000 The IceTalk 4000 integrates the bill validator, coin exchanger, Siemens PLC and Scotsman ice maker providing the ability to transmit information from all four components to a website or smart phone for constant communciation with your machine. 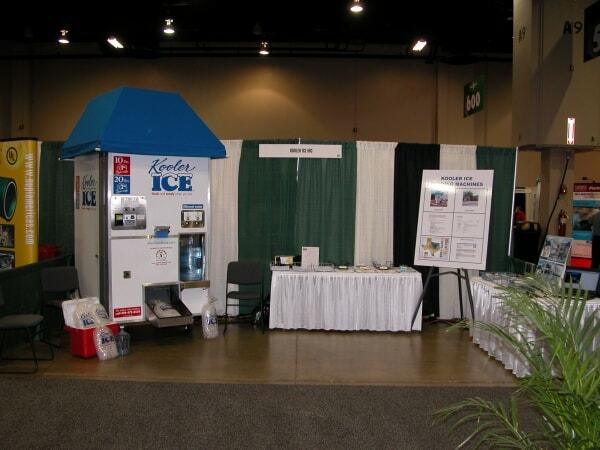 Kooler Ice Monitoring System Monitor your Kooler Ice Machine remotely from your computer, smart phone, iPhone or iPad. 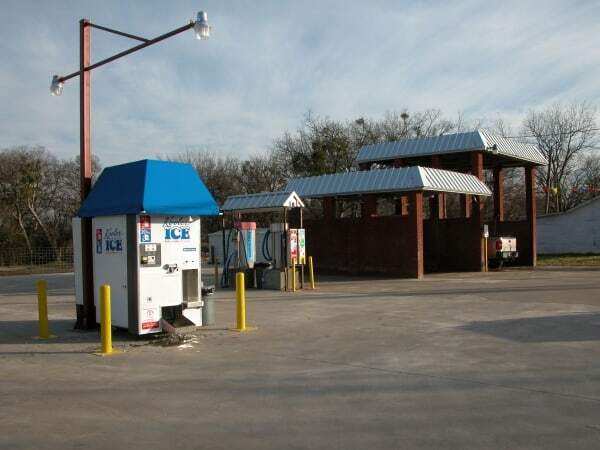 The IceTalk System provides owners sales data by the hour and alerts for any change in the machines operation. 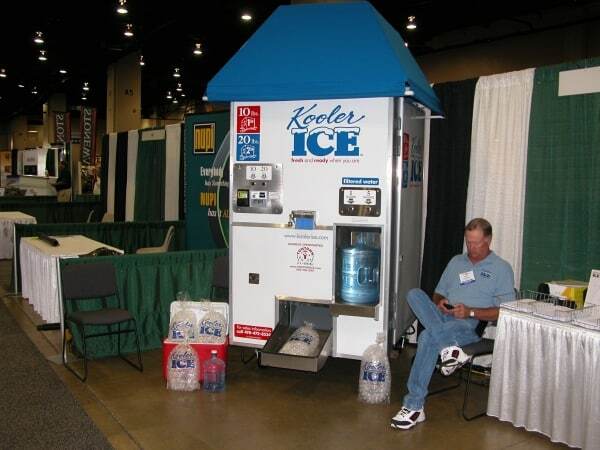 Also provides the ability to vend ice remotely. Storage Bin Capacity - 800 lbs (estimated). 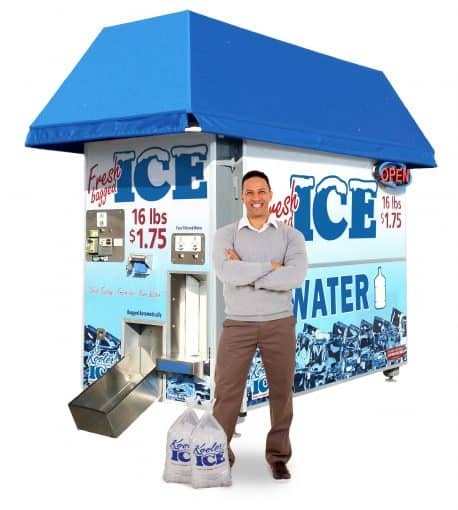 The machine is already equipped to handle 2 ice makers. Total machine weight - 2,600 lbs.